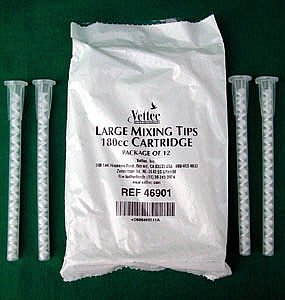 5-1/4" mixing tips are necessary for all 180cc Vettec cartridges. The tips allow the material on both sides of the cartridge to mix evenly. Tips cannot be reused.